Vietnam keeps a close watch on and is concerned about the escalating violence in the Gaza Strip over the past days, leaving many Palestinians dead and injured, the Vietnamese Foreign Ministry’s spokesperson Le Thi Thu Hang said. Vietnamese Foreign Ministry’s spokesperson Le Thi Thu Hang. 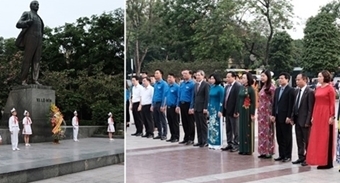 Hang made the statement in Hanoi on May 15 while answering reporters’ question regarding Vietnam’s reaction to increasing conflicts in the Gaza Strip between Israeli security forces and Palestinian people. 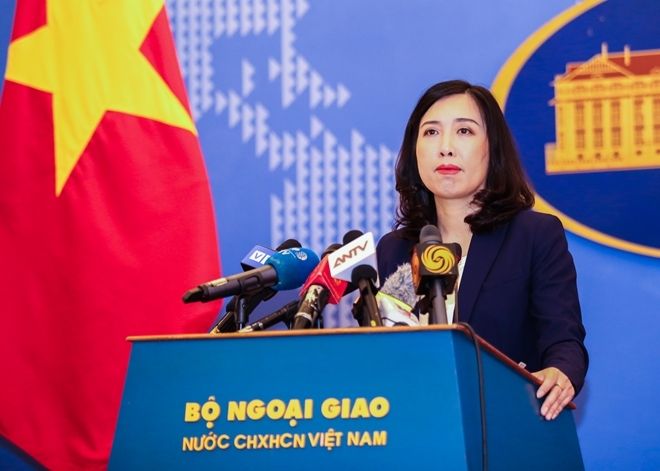 “Vietnam calls on the concerned parties to exercise restraint, handle conflicts through peaceful measures and create favourable conditions for negotiations as well as international efforts to reach comprehensive, equitable and sustainable solutions, ensuring legitimate interests of the parties, and regional peace and stability,” the spokesperson said. Earlier, at the open debate of the UN Security Council on April 26, Ambassador Nguyen Phuong Nga, head of Vietnam’s Permanent Mission to the United Nations, also expressed Vietnam’s concern about the current Middle East situation and called on the UN Security Council to uphold its important role in encouraging the resumption of peace talks between the parties. She stressed the need for all parties to respect international humanitarian law, stop any act of hostility, incitement and violence, to ensure unimpeded access to humanitarian assistance.